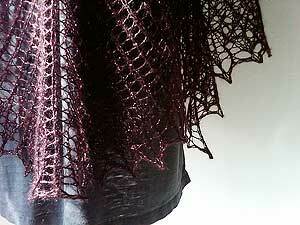 A wonderful, deep purple and plum with silver accent lurex strand, this yarn is perfect for purple yarn lovers, and we know how many there are. Not too deep, not too bright, this is a stunner. 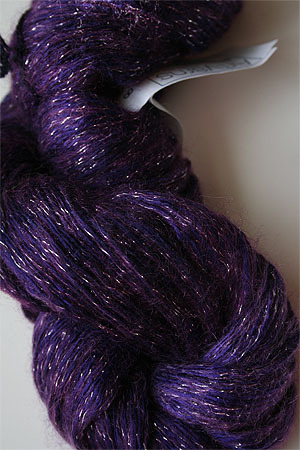 We're uploading new pictures of all of our beautiful Silk Rhapsody Glitter Light colors! Please check dropdown - all are available to order!